Given the natural bias of this blog towards Palm some people may have questioned both my Palm Pre & webOS First Impressions as well as my later Top 10 Reasons To Love The Palm Pre so I thought that it might be a good idea to provide you with a much wider overview that includes what other people have been saying about this (dare I utter revolutionary) new smartphone from Palm. “The Palm Pre smartphone took home both honors and became the first cell phone/smartphone to win the Best in Show since CNET started presenting the Best of CES awards in 2006. 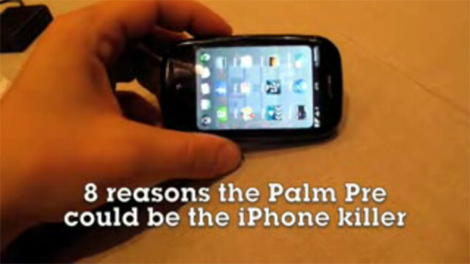 “The Palm Pre isn't just Palm's saving grace. 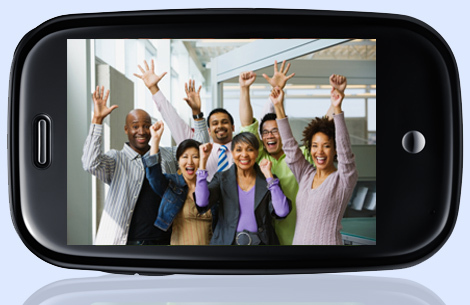 This brand new smartphone for Sprint offers an innovative new WebOS that's fully integrated with the internet. That means your e-mail, calendar, Web pages, and contacts all update as needed whenever any related information has changed online. And the new operating system is made up entirely of Web languages like HTML, CSS, and Java Script so developers and partners like Facebook and Amazon can quickly create new applications and content for the device. Speaking of Amazon, it has already been announced as a partner for the Pre's on-board DRM free music store. While the iPhone has demonstrated the power of putting a real computer operating system on a mobile device, the iPhone itself is far from perfect. For one thing, the battery life on the new 3G model is abysmal. And while it is cool to be able to browse the Web from a handheld device, the iPhone's Internet experience is nowhere near as good as the experience you get on a laptop or desktop computer. It's much slower; Rubinstein [Palm’s executive chairman] and his team say that's because the OS X code is not lean enough to run swiftly on a mobile device's relatively tiny processor and small memory footprint. And you can only do one thing at a time. To change applications—to go from checking e-mail to making a phone call to putting an appointment in your calendar—you have to keep climbing back to the home page and then down to the other application. Apple introduced OS X for its personal computers in 2001, but pieces of the system trace their roots back to the 1980s, when they were used in the operating software of computers made by Jobs's other computer company, NeXT. Palm sees an opportunity to come out with something newer, better and—perhaps most impressive to gadget geeks—faster. A lot faster. "We're already four times faster than the iPhone, and we're still optimizing," McNamee [who runs Elevation Partners] boasts. Pre is a handsome, curved, 4.8-ounce device that's more compact than the iPhone. Like the iPhone, it uses sensors and touch gestures to enlarge photos and Web pages. 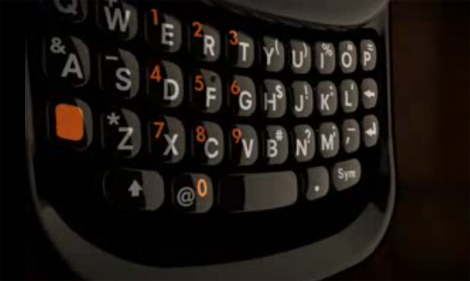 It also has a hidden, slide-down qwerty keyboard to complement the vibrant 3.1-inch touch-screen. There are other features that the iPhone doesn't have, including support for Bluetooth wireless stereo devices and a removable battery. With Palm's back up against the wall and all eyes focused on its next move, the Sunnyvale company came out swinging at CES and showed off a new platform (webOS) and device (Palm Pre) that look like they will make the company a serious smart phone contender again. It's too bad that Palm didn't have this OS sooner. But it's a very polished combination of hardware and software that makes Palm a contender again. It mimics a lot of the iPhone, which is a good thing, though with an almost two year head start, some consumers won't be as wowed by its UI now. 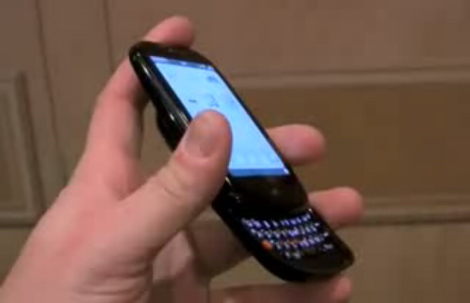 The new webOS operating system will include “Palm Synergy,” a feature that should be extremely popular. It will give users one view of their contacts from many different sources, including Outlook and other e-mail accounts, as well as from social networking site Facebook. The operating system also lets users “multitask,” do more than one thing at one time, by keeping more than one program open at a time, something Palm’s previous OS did not do. The Palm Pre rips off the iPhone in plenty of spots — multi-touch, pinch to zoom in or out, flick to the next photo, online software catalog and so on. But it also brims with one completely new idea after another. The software is fast, fun and flicky, and you can master it in six minutes. Gotta love the single button on the top, too: tap for Sleep, hold for Off or Airplane Mode (wireless off), slide to the side to shut off all sounds. In reports Friday, several analysts called the device "impressive" and said it will likely help lift Palm (PALM) out of its recent doldrums. "As a result of our enthusiasm for Pre and belief that near term structural issues have been put to bed, we are upgrading the stock to a Buy," wrote Ilya Grozovsky of Morgan Joseph in a note to clients. "We also believe near term cash issues are put to bed and no longer threaten Palm's long-term viability." The Pre can boast some of the best features of the iPhone (a multi-touch screen that you can “swipe” across to move objects around or “pinch” to shrink or zoom images,) along with a couple of big things the iPhone doesn’t have: a slide-out keyboard and a replaceable battery (though there are trade-offs in all this, making the Pre fatter than the iPhone, with a smaller screen). There are also signs that Palm has not only learned from the software interface of Apple’s iconic smartphone, but has gone one step better. To switch between applications on the iPhone you have to open and close them: on the Pre you can shuffle them like a deck of cards, swiping across the screen to switch between a range of live applications (all of this made the menu-driven user interface on the first Google Android phone, from HTC, look even more clunky). Chief Executive Officer Ed Colligan is counting on the Pre to reverse plunging sales at the Sunnyvale, California-based company. Palm’s earlier devices haven’t kept pace with Research In Motion’s BlackBerry and Apple’s iPhone, spurring an exodus of customers. The Pre’s success may determine Palm’s long-term survival in a market it helped create, said Lawrence Harris, an analyst at CL King & Associates in New York. Palm was under serious pressure to hit a home run at CES today—and boy, did it deliver. Running Palm's gorgeous (if belated) new platform, dubbed WebOS, the touchscreen Pre could well be Palm's savior, and perhaps its biggest hit. WebOS—previously code-named "Nova"—is one of the hottest mobile platforms I've seen yet, rivaling both Android and Apple's iPhone OS. The Pre's Web OS UI and and UX really looks great. After watching (and using) for 20 minutes, It rarely looked (or felt) unresponsive, choppy, or laggy and it's clear a lot of thought was put into the design, especially with regard to how the phone would be used with fingers, as opposed to a stylus or d-pad. Palm has gone to great lengths to bring its industrial design up to date, and they've landed a winner. The casing of the [Pre] is made from sleek, glossy plastic, and the 3.1-inch touchscreen is flush with the face of the device, just like the iPhone or Touch Diamond. The phone has a bit of a curve to its body both in the back and around the sides, but would easily slip into a pocket. When you slide out the QWERTY keyboard, it has an almost banana-like shape to it, curving slightly to meet the contours of your hand and face. As you might expect, [Pre] feels great in the hand -- it's slightly smaller than an iPhone when closed, slightly larger when open, and roughly the same width. 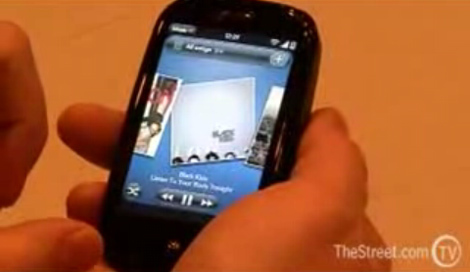 The [Palm Pre’s] UI itself is absurdly slick -- certainly on par with the iPhone's interface and HTC's TouchFlo 3D. There are smooth zooms, transitions, and fades in and out of content, and there's no noticeable lag or stutter when moving through actions. Fonts are tastefully chosen, and the icons are akin to OS X's or Vista, with soft shadows underneath and lots of dimension. The Palm Pre is the technology product I've been waiting for. Like every tech journalist I know, I knew what was coming, but today's demo literally blew away my expectations. Step aside, iPhone, sit down, Bold, this is the Palm, maybe the device, I've been dreaming about: A touchscreen phone with a full QWERTY keyboard. Palm needed to swing for the fences with the unveiling of its new smartphone at the Consumer Electronics Show on Thursday, and the early impressions of its Palm Pre indicate the company has hit a home run. [Palm’s Pre and webOS are] fresh and innovative, built firmly around the principles of simplifying people's lives and making technology invisible to the user. In many respects Palm's hardware is better than the Apple iPhone – a slide-out QWERTY keyboard, 3 megapixel camera, replaceable battery... it even has cut-and-paste. It's also a million times better-looking than the current range of Treos and Centros, which cling disappointingly to Palm's PDA heritage. When I sat down at the beginning of the Palm Pre announcement press conference I was expecting to watch the death of a company. Palm? Give me a break. It would NEVER do anything interesting and Nokia, Microsoft, RIM, and expecially Apple were about to kick it into the deathbin of history. I was wrong. WAY WAY WAY wrong. Palm’s bet on social networking integration is a game changer. Click into a contact and you see people’s Facebook info and other info from their social networks. That is huge and not many people will get it. The Palm Pre is going to be a killer device and it has a real shot at garnering more developer support than Android and may even approach the iPhone in terms of applications -- seriously. The hardware for the Palm Pre is simply fantastic. My first thought is that it had an 'egg' shape, which can really backfire on devices, but on the Pre comes out as elegant and organic. Palm's presentation of the Pre really emphasized the organic and natural feel of the Pre in subtle ways -- their stage was wood, the color scheme around the presentation positively forest-like. 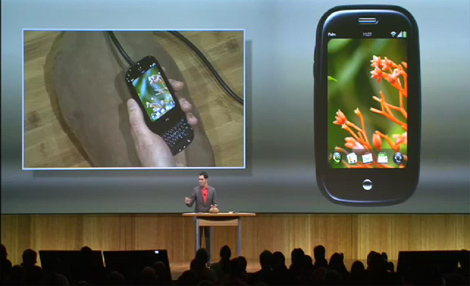 Equally innovative is the webOS. We know that it has Linux roots, but unlike Android you would never know it by looking. Once again, everything about webOS on the Pre looks natural and -- dare I say -- intuitive. Thankfully many of the traditional Treo cues remain on the Pre. The top-mounted ring/mute switch, while slightly downsized, is present and handy as ever. The volume up/down buttons are still on the left side of the phone but an unfortunate casualty of the new form-factor is the loss of the shortcut/multifunction button found on previous Palms below the volume keys. I'm also glad to report that the 3.5mm stereo headset jack found on the Treo Pro was not a one-off decision and appears here to much rejoicing. Seriously, I will drop my cellular provider like a hot rock the second this phone is released. I haven't ever purchased a phone at retail - but this will be the first one, ever. I agree with your sentiment so much that I'd go as far as to say I'd drop Sprint (I'm already with them), and sign up again. Give us a date and price, Sprint. Palm has all the momentum right now - they just need to get this phone out ASAP! The longer the delay the more frustrated people will become and then the negativity will start. The delays of the Blackberry Bold ruined any chance that phone at being successful. PALM, get this out by May! It seams a bit tricky to use at start. 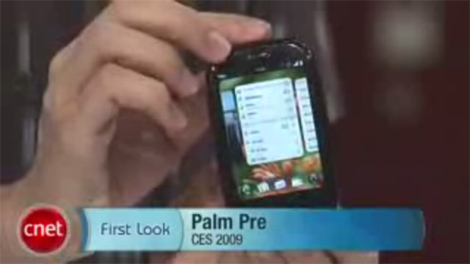 I just watched the "Palm Pre Full CES Press Event": it's 1h in the future! The last time that I was so exited was when I turn on my first Commodore Amiga. Looks great BUT...(1) no micro SD card slot? and (2) I can't use all the previous Palm software I've got on my 750p? Ugh. Legacy Palm OS apps will work with an emulator that is sure to emerge. But not having a stylus is going to hurt Palm in Asia where character based alphabets make them mandatory. Hopefully they come up with a solution on their capacitive screen. and expect a price tag of...well, thats a secret too! It will be competetively and reasonably priced, just keep that in mind. 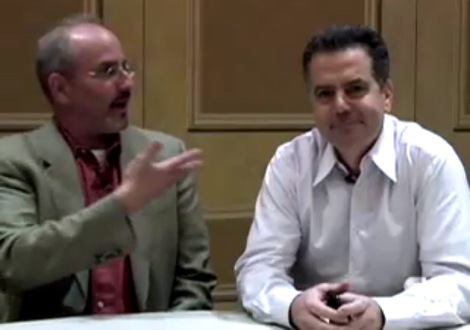 Sprintman, what pray-tell makes you so sure of your dates? And if you would spill the month "to-from" then why wouldn't you do the same with the price...oh I know, its because you like DON'T KNOW any more than anyone else! I had heard rumor of mid-Feb but with the looming legal issues between the spoiled Apple folks who want it all, and the Palm guys, I could see the launch being delayed. I am psyched about this phone, but I need new within the next month, not next 6 months. Sorry Palm. As one who has been in the software industry for 25+ years, I think Palm marketing has yet again flubbed it! One fundamental principle of marketing is to not alienate your installed base. Without support for legacy applications there will be much more incentive for current Palm Treo and other Palm loyalists application developers and users to look at non Palm alternatives. Palm needs to aggressively and definitively come out with a path for supporting at least Palm 5 OS compatible legacy apps. we've known for 2 years that they were working on a new platform ?!! I've bought almost every palm os device they have produced, never been disappointed, and that means......I trust these guys....I am out there the day it comes out.......I know they won't let me down...this is big. I am dropping my current service provider the day this comes out!! I am confident it will be worth every penny of my $200 cancellation fee!! HURRY UP AND RELEASE THIS BAD BOY ALREADY!! I'm using a Palm Tungsten E2...will I be able to Hot Sync the calendar, contacts, etc. to the Palm Pre? Will I be able to transfer my Thunderbird email addresses to the Palm Pre? Does it have a sim card location where I can take my Nokia Sim card and transfer the phone #s, etc. to the Palm Pre? Steve, it's not necessary to eat the $200. There are phone contract swap sites where you can offer the remainder of your contract for takeover by another interested user. Google for more info. I have spent 1000's of hours developing applications for the Palm OS and now they abandon us! Played with the pre in the store and was very impressed. Less impressed five hours later when it died. I also bought the Pre the day it came out and had to exchange it the same day cause the ear piece was not working. Everyone I spoke to sounded muffled so they got me a new one and by day two... BAM it starts shutting itself down. Most times I notice the screen glows and locks, I have to hold down the power buttom to re-start it and of course it takes forever to boot up. But of course I didnt always notice that my phone was off and that really sucked! I place a thick piece of paper and that worked for two days. It started doing it again so I put an even thicker piece of paper between battery and case. Again two days later... BAM shut down. I am bring this stupid phone back tomorrow going back to instinct til I figure out if I should switch to AT&T for the new Iphone or wait for Pre 2nd generation. I love sprint for their $99 everything plan & AT&T plan is an extra $30 just for the iphone. I am so torn on what I should do! Any suggestions???? I have had the Palm Pre for about 1.5 months, and I love it... I can do crazy things with it, and I have downloaded a lot of things... like a checkbook balancer, howtowiki, and some fun games, I get my email on it, the key board took some getting used to, but I am a pro now. I would recommend this phone to everyone.